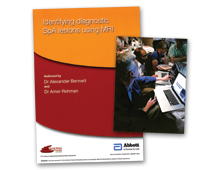 Despite the progressive nature of SpA, research reveals that patients face delays in referral and diagnosis of 5–10 years.2,3 Experts agree the problem is due in part to sub‐optimal use of the recommended diagnostic technique MRI, which is recognised as the most sensitive diagnostic tool,4 and considerable variation in the use of MRI and its interpretation. 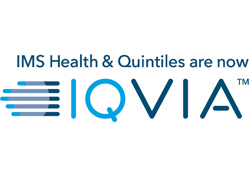 To address these clinical needs, we worked with SpA experts to develop a unique meeting series (roadshow) for rheumatologists and radiologists to improve collaborative care, provide a hands‐on learning experience of specialist diagnostic MRI software and raise awareness of SpA symptoms, thereby optimising patient care. As a direct result, 94 per cent of delegates said they would recommend MRI as a diagnostic tool to colleagues, 86 per cent would be more likely to work together with their rheumatology/radiology colleague to diagnose SpA, and some centres have since re‐developed their clinical pathways. 1. National Ankylosing Spondylitis Society (2010). Looking ahead: best practice for the care of people with ankylosing spondylitis (AS). 2. Okgul O et al. World J Orthop 2011;2:107–115. 3. Brandt HC et al. Ann Rheum Dis 2007;66:1479–1484. 4. Bennett AN, et al. Ann Rheum Dis 2009;68:765–767. This was a good example of well-evidenced health improvement and education to support healthcare professionals in their diagnosis of SpA. The need was clearly articulated, and the collaborative approach to the campaign achieved great results and changed prescribing behaviours.